As the world’s first luxury Scotch whisky, recognised by modern gentlemen around the globe for its exceptional quality, timeless style and exclusivity, Chivas Regal deserves a place in all the world’s finest bars. Chivas Regal is aiming to spread this message amongst the bartender community this year as it launches a bartender engagement programme, The Chivas Masters. 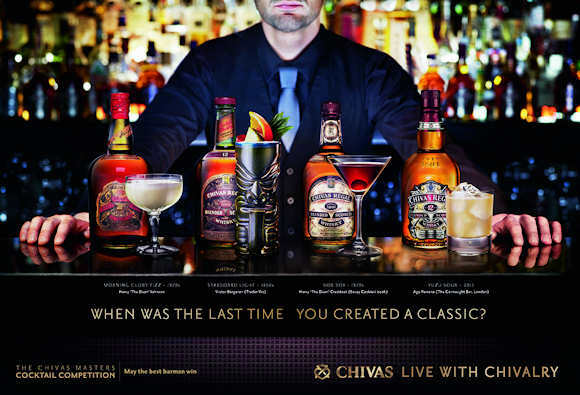 Over the coming months, Chivas will roll out a global five year programme, The Chivas Masters which will challenge the world’s finest bartenders to ‘travel back through time’, re-discovering the classic cocktails of the past and giving them a modern interpretation with Chivas. The Chivas Masters is a truly international competition that will have a presence in every major region globally. Follow #Chivasmasters to be a part of the journey.